A book entitled “Handbook of Ultraviolet Spectra, vapor phase, 168-330 nm” has been published (Fig. 1). Figure 1. 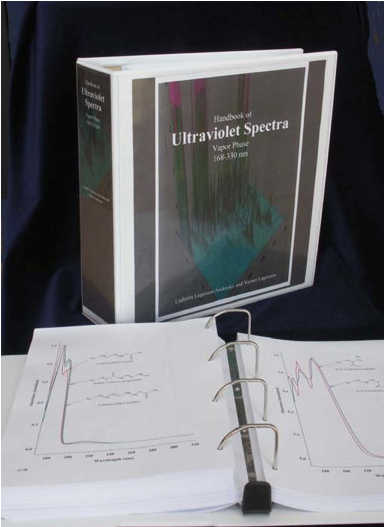 Handbook of Ultraviolet Spectra, vapor phase. This is the first handbook presenting a comprehensive collection of gas/vapor phase UV spectra. The book also presents fundamental studies of the relationship between chemical class and spectral feature as well as studies of isomers. The extensive work necessary to make this publication possible has resulted in more than 1300compounds studied, which covers almost all chemical classes. In addition to this, more than 160 groups of classes showing corresponding spectral characteristics, were recognized and these groups are presented as overlaid spectra. In Fig. 2 one examples concerning simple non aromatic ketones is shown. 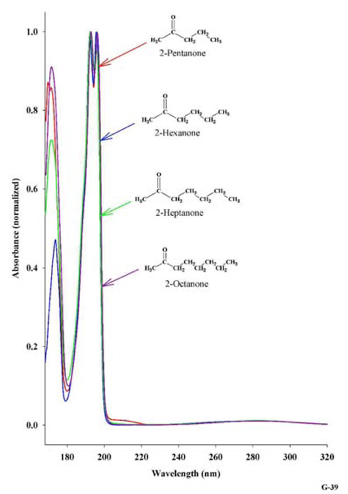 Notice, that 2- respectively3- and 4- position ketones are rather similar but, if you take the first derivatives with absolute values in order to amplify details, the difference is quite obvious as shown in Fig 3. Figure 3 . First derivative spectra (absolute values) of 2– respectively 3– and 4– position non aromatic ketones. Furthermore, 136 groups of isomers are presented in the book and as examples two of these are shown in Fig. 4a-b. 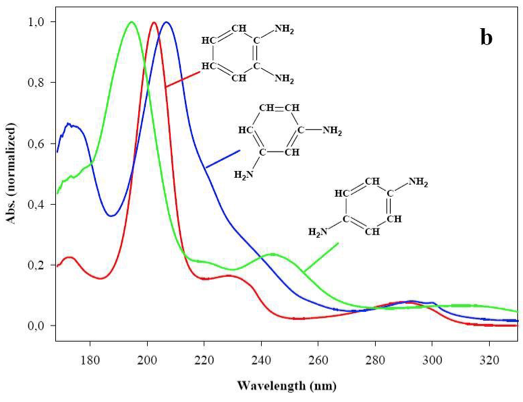 Figure 4 Examples of groups of isomers with overlaid spectra. Reference spectra are also available soon and offered as a search system. 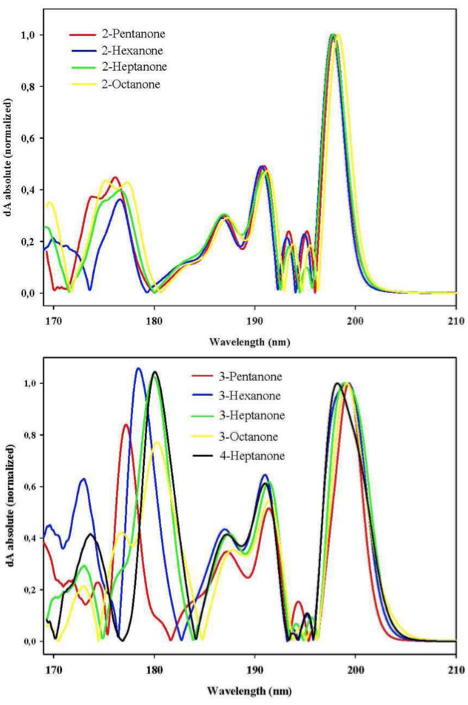 Identification and classification results of unknown spectra are based on various search algorithm alternatives after an automatic normalization. Besides this, searchable texts are: CAS nr., FTIR nr. (Aldrich, FTIR vapour phase spectra), name of the compound and a number referring to the original digital spectrum. Other information about the compounds is: chemical structure, density, boiling point and the temperature at which the compound was recorded. The search library contains over 1700 spectra for totally 1400 individual compounds.